Visakhapatnam’s commissioner has set an example by spending only Rs 36,000 on his son’s wedding. In times when weddings are getting exquisite and extravagant with each passing day and the wedding invitations in itself are made in the budget of lakhs, one Indian Administrative Service (IAS) officer from Andhra Pradesh is bucking the trend and setting an example for others. 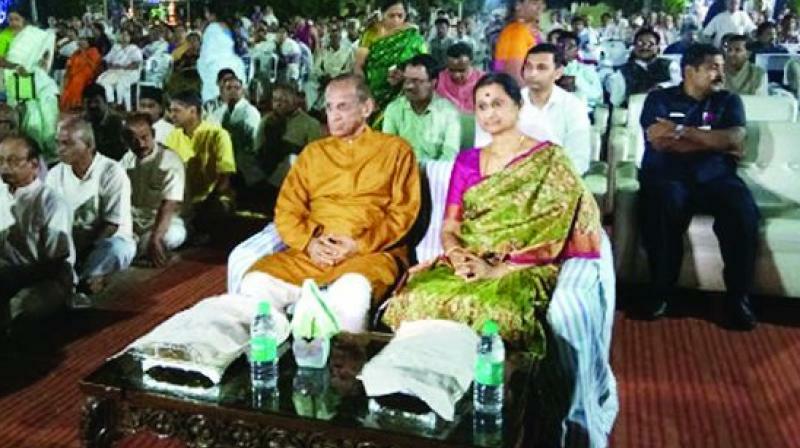 The wedding of the Commissioner, Visakhapatnam Metropolitan Region Development Authority (VMRDA), Patnala Basanth Kumar’s son Abhinav Kumar Manas with Lavanya Nidamanuri is happening within a budget of Rs 36,000 on February 10. “Our family is dedicated to the rules and principles of Radha Soami Satsang and have been following austerity since long. When I got married, the expenditure was Rs 2,000, when my daughter got married, the expense was Rs 16,100 and now when my son Abhinav, who is a manager at a bank is getting married to Lavanya who is a doctor, we have kept Rs 18,000 budget from both the bride’s family and mine. We are following these traditions for four generations now. The family and the guests should enjoy the ceremonies, that should be the entire focus point and not how much show off can I do,” shares Basanth. As the news of this simple marriage spread to different corners of the country, many have come forward to praise his methods and simplicity. Interestingly, the wedding invitation says, “blessings only — no bouquets — no gifts”. The families of the bridegroom and bride will contribute money for the ceremony, including lunch for the guests and the entire Radha Soami Satsang family is coming together to help them organise the wedding without any hindrance. “For us, the blessing and the love the guests will be showering to our children is important and not lavish gifts,” he says. Amongst other dignitaries and guests, Andhra Pradesh and Telangana Governor E.S.L. Narasimhan will bless the couple at the simple ceremony. Basanth Kumar was promoted to IAS cadre in 2012 and had earlier served as Officer on Special Duty and Joint Secretary to Governor E.S.L. Narasimhan. “But we are only inviting 100 people for wedding and reception who are very close to us to keep the budget in check,” shares Basanth. When asked about how he is planning to manage the food expense, Basanth says everything is being made at home with the help of 200 families of Radha Soami Satsang.